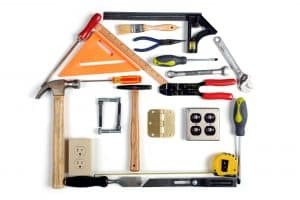 Renovating your investment property might seem a little bit unnecessary as an investor because you don’t get to take advantage of the outcome by living in the home personally. After all, a properly maintained property will not only ensure that you have contented tenants but may also increase the return from your investment. Upgrading your existing property may increase your current rental return, enabling you to expand your property portfolio. Improving existing assets can increase the appeal of the investment property and can lessen the time between letting, appeal to a more desirable bracket of tenants or retain valuable tenants for longer. Furthermore, when that all important time to sell your property arrives, you will have added value. Before making the decision on how to spruce up your rental property you should take into consideration several crucial points. It might be an investment property but what would make you feel at home? With the prices of homes being out of the financial reach of many first time buyers such as young couples and families, they choose to rent instead of buying. This can lead to long-term tenancies and making them feel comfortable is important, giving them a sense of ‘home’. Take a step back and run a critical eye over the property, what changes would make you feel at home and happier living there, you’ll find your tenant probably would feel the same. Minor repairs or Major renovations? It is essential to increase the potential of your property without over-capitalising, before you start knocking down walls, investigate small repairs that might work without investing in a full-scale renovation. Installing fresh blinds and curtains or other new trappings such as door handles can quickly help with aesthetic appeal. Space is always a premium in residential property so consider built-in desks and storage units. Update old appliances such as dishwashers and install air conditioning units. Consider energy-efficient appliances in particular as sustainability of homes is a great selling point. A quick clean and lick of fresh paint on the walls can revitalise the interior of the property, but if you feel the need to make some more serious changes look to the more important rooms first. Kitchens and bathrooms tend to be the most used and consequently tired spaces in an investment property so update those areas before bedrooms or living rooms. A happy tennent is a long term tennant.